Are you feeling these intense energies? Are you getting massive surges of energy pulsating through your body? Are your ears buzzing? I am and my ears are buzzing constantly and it is so important to ground yourself to Mother Earth at these historic times. I wanted to express the importance of grounding. I also wanted to tell you how I ground myself so that you can adopt a similar technique for grounding yourself. This is in line with Meline Lafont’s excellent recent channeling by Saint Germain. Her post can be read by clicking HERE. Basically, grounding is allowing yourself to literally be grounded to the Mother Earth. This is important as we are moving into higher dimensions and the energies that are on this planet are being increased and will continue to be increased. For example, when I meditated last night, my eyes were open and I saw the wall in front of me literally move and transform itself. I asked it to move down and stay put. I then envisioned and literally moved the wall in front of me down with my mind. If I was not grounded, I may have literally floated away. That is how severe and intense these energies are right now and they will be increasing even more in the upcoming times. Another reason to ground yourself is that the energies are releasing things from us individually and collectively that do not serve our highest and best good, as we cannot take them with us in the higher dimensions as we ascend. The people who are struggling in their lives are the ones that are holding on to these things; all the pain, all the suffering, all the guilt and all the lack of forgiveness. This is also happening to the collective consciousness. Just look around! Everyone is grasping at things. People are more mad. Divorces are on the rise. Look at what is happening globally. Look at the wars, the economic situations, the banking failures. It is all coming up to the surface to be released. All this must be released into the light and transmuted. And people are holding on to this and do not know what to do. Their lives are turned upside down. There is pain, there is anger, there is blame, and there is so much hurt. You must be grounded to deal with these things. You must be centered and you must not get drawn into the drama around you and as portrayed in the mass media. These things will continue and get worse as we see the third dimensions crumble in the future to make way for the higher dimensions. And your strength and your light will be needed to help explain and calm people down you know who will be lost and confused and scared. Angels, I ask for your help now. I ask to be grounded to Mother Earth. I envision white light filled roots growing out of my heart. I see them growing from my body, down through my chakras and down through my root chakra by my feet. I see them going into the center of Mother Earth. I see Mother Earth and ask her permission to allow my roots to wrap themselves around her heart. I envision her giving me her permission. I then envision the roots being fully wraped and attached to her heart. I then envision my heart and Mother Earth’s heart merging into One loving heart. That heart is grounded and fixed in the center of Mother Earth. 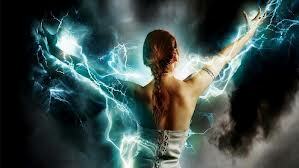 I then ask Mother Earth to merge all her energy grid with my energy grid becoming One. This now happens. I ask that any energies from the Universe coming into Mother Earth to gently go through my body and flow through my chakras and into the combined heart (mine and Mother Earth’s) in the center of the earth. I then project these energies to go back up to the surface of Mother Earth to be used as Mother Earth sees fit and back up to the Universe where they came from and back down to me again in a circular pattern. I ask to always be grounded with Mother Earth and I ask that I always physically remain on Mother Earth and not be carried away by any drifting due to the intensities of the incoming energies. I ask to be calm and centered when others around me are having a hard time and I ask for clarity, patience and wisdom during the upcoming times ahead. Hi Andy, I’m all for it! I’m all signed up and ready to go. Let’s do this! Love Bombs Awaaayyyyy…..
Andy I loved your grounding words…I’m going to add them to my connection with beloved Gaia. My love and deep gratitude to you! Thank you. Andy this is so important and it’s great you are supporting us with your point of view and tool to establish a grounded connection with Gaia. The urge is clear, when you look @ Mélines and my posting from Mother Earth: http://wp.me/p3kMMt-75 . Blessings to you and have a great day. This entry was posted on May 1, 2013 by Andrew Bojarski in Andrew's Posts and tagged Arch Angels, Ascended Masters, Ascension, Awakening, Chakras, Channeling, Energy, Energy Healing, Healing, Higher Self, Love, Meditation, Spirituality.